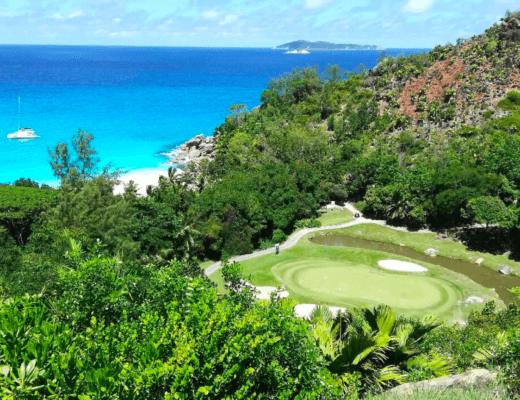 Not only do we have incredible and breath-taking views at Constance Ephelia, and Constance Lemuria, but the island of Seychelles itself is awe-inspiring. One of the most thrilling ways to see and explore Seychelles is by bike! Are you up for a new adventure? Get inspired by our Q&A below with John Maskell of Epic Road Rides. 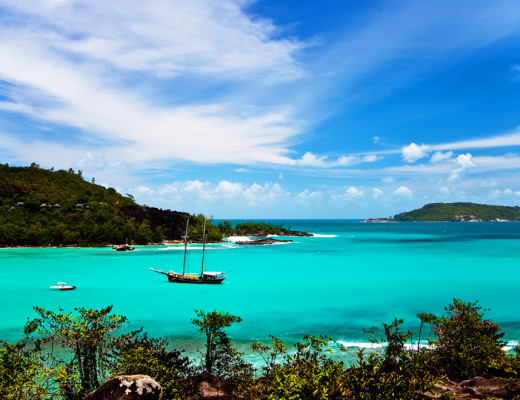 Why did you choose to visit the Seychelles? We were looking for a winter sun holiday which would offer a luxury resort with lots of facilities and activities to keep our children away from their iPads! However, we also wanted somewhere that would provide great road cycling, as we’re always looking for new and interesting places to ride our bikes. 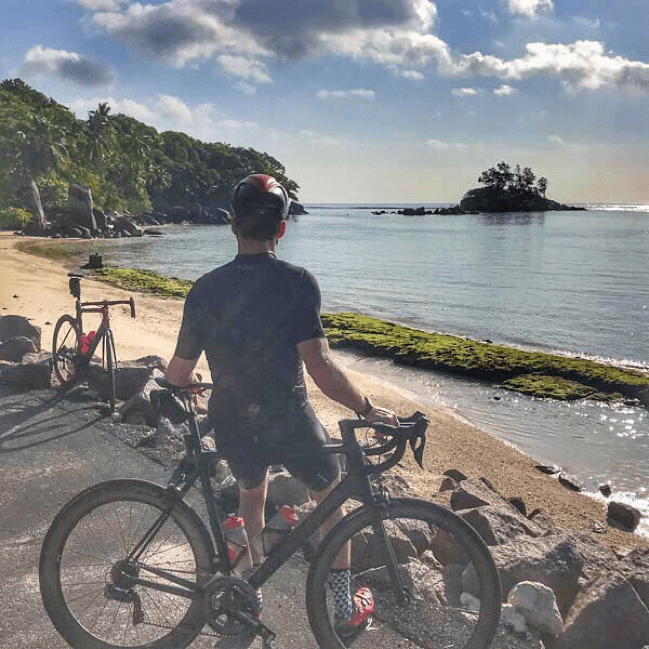 We couldn’t find very much information online about road cycling in the Seychelles, but after making contact with Velo Club de l’Ouest and spending a lot of time on google maps, we decided it was definitely worth bring our road bike and checking out the cycling in the Seychelles! What are the roads like in the Seychelles? For a small island, there are a good number of roads – which is great news for road cyclists! As with any country, not all of the roads are in perfect condition, but they were by no means bad. As you’d expect, there’s also traffic in the more built up areas – but all in all, we had a fantastic time! 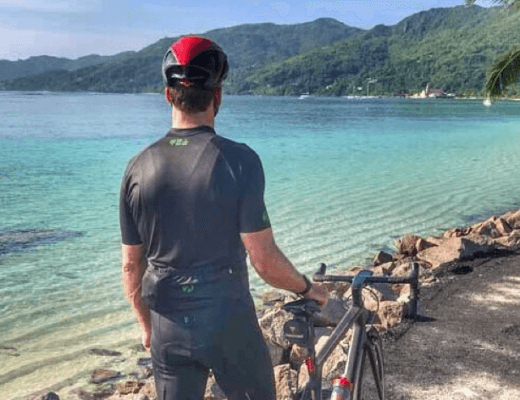 You can get all our tips for cycling in the Seychelles here. Tell us about the best cycling routes in the Seychelles? If you love to climb up hills, you’ll love cycling across the centre of the island; it’s very hilly! The gradients on the roads that traverse the island can be very tough, up to double digits in places. Take care on the descents which can be both steep and narrow. For more relaxed cycling, we’d suggest sticking to the coast road around the island. Here you’ll also enjoy spectacular views of the island’s beaches. There are also some wonderful beach front restaurants you can stop off at. Our write up of this southern loop of the island has all the details. Why did you decide to stay at the Constance Ephelia? We were looking for a luxury hotel that offered great service, excellent food and lots of sports and activities for our children. 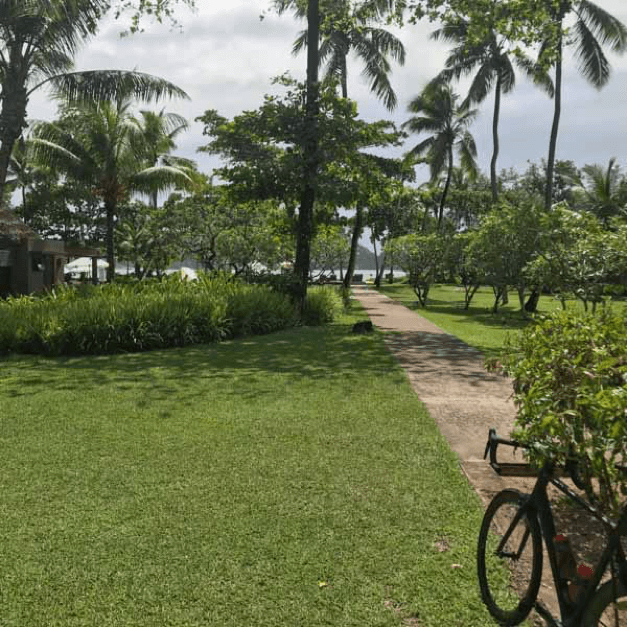 Constance Ephelia hit the mark – with five restaurants, two beaches, a huge spa, tennis courts, a kids club, swimming pools and free non-motorised water sports there was plenty for everyone to do! The hotel was also well placed for cycling, and we were able to complete all the routes we wanted to from the hotel doorstep. 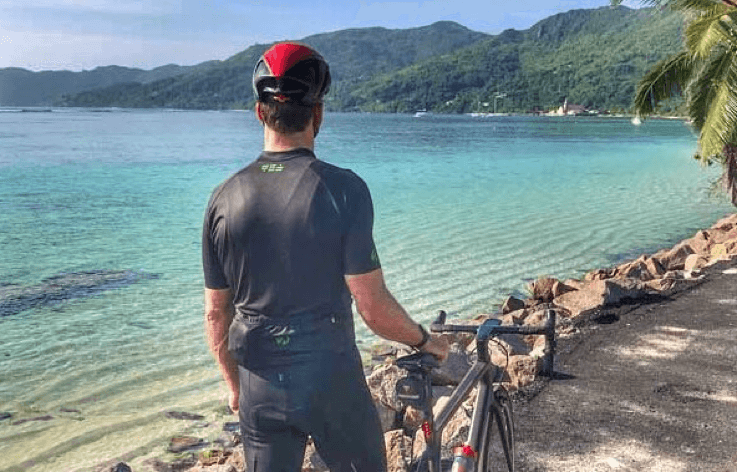 Overall, we think exploring by bike is the best way to get to know a place, and we really felt that was the case with the Seychelles. We saw tea plantations, beaches and beautiful jungle scenery that we’d never have got to experience had we not set out on two wheels. Ready to bike? 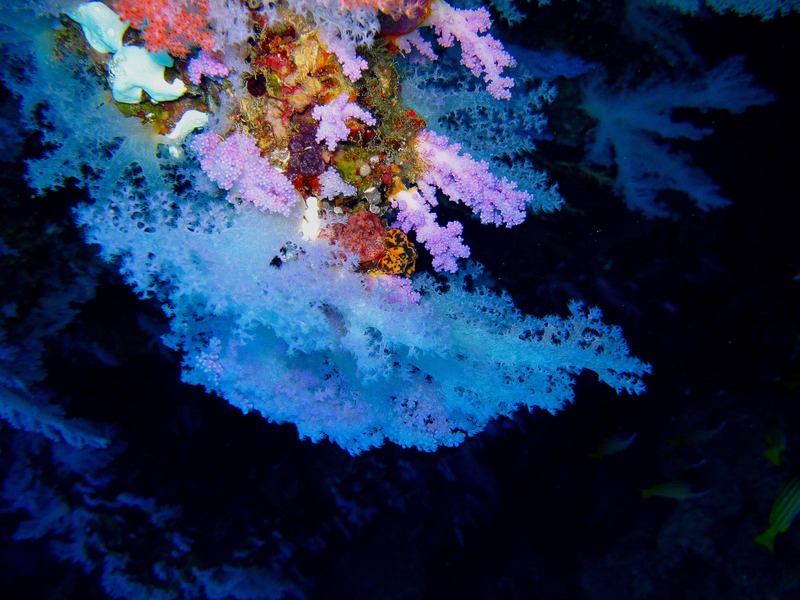  There’s plenty of thrilling adventure to be had in the astonishing island of Seychelles. 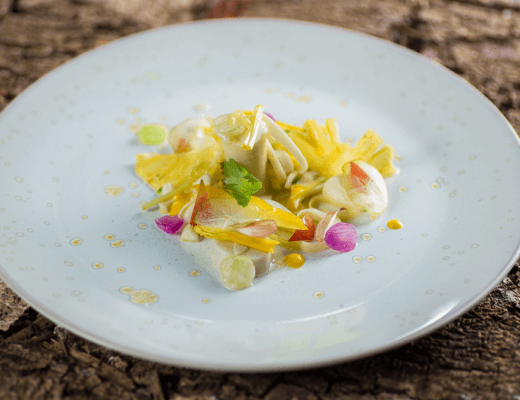 So, whether you are dipping your toes in the crystal-clear ocean, dining deliciously at Constance Epheila, or discovering what the island has to offer. We recommend staying with us (of course ) and hitting the roads by bike! Looking for an adventure? Then come and visit us at Constance Ephelia, Seychelles! Book your stay with us here.